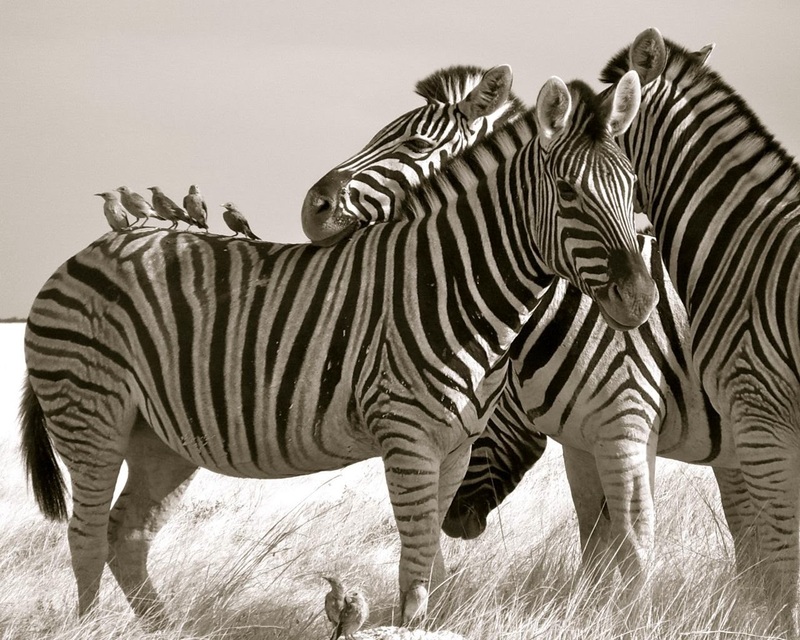 crazy little thing called blog: Why Do Zebras Have Stripes? Have you ever wondered why zebras have stripes? Is it simply nature's whim or is there a deeper purpose to the intriguing white-and-black pattern? It seems that the scientists don't know for certain, so they came up with four theories aimed at explaining the phenomenon. The first theory claims that the stripes dazzle and confuse the predators, especially when zebras are in a group. The markings work as an optical illusion making it more difficult for predators to pick out a target. According to the second theory the stripes serve as a camouflage in grassy habitat. The third theory, my personal favorite, postulates that the stripes, which are unique to each animal, help zebras recognize each other and promote social communication. The newest, fourth, theory claims that horseflies don't like the way light bounces off the zebras' stripes and, therefore, they find zebras unappetizing. Social communication is all I'm saying.